Do you want to let your friends and co-workers know that you listen to quality podcasts? Do you need something to put your morning coffee in? Do you like brightly colored buttons? 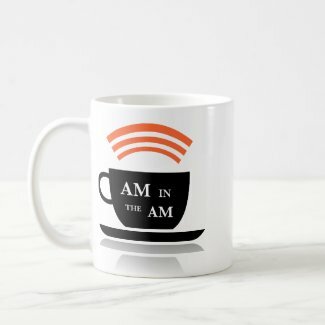 If you answered yes to any of these questions, look no further, buy AM in the AM merchandise and remain caffeinated, brightly colored and cool.